Hardcover, 8.5 x 11.75 in. / 56 pgs / 56 color. Swiss artist Emanuel Halpern (born 1948) is an unlikely harbinger of the apocalypse. 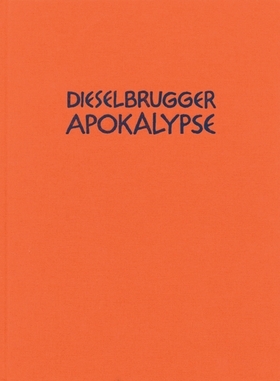 Inspired Friedrich Dürrenmatt, Halpern has created 50 large-scale colored pencil drawings that comically narrate the destruction of Dieselbrugg. Bold and graphic, this illustrated book presents a dark but colorful view of a modern world gone topsy-turvy. FORMAT: Hbk, 8.5 x 11.75 in. / 56 pgs / 56 color.